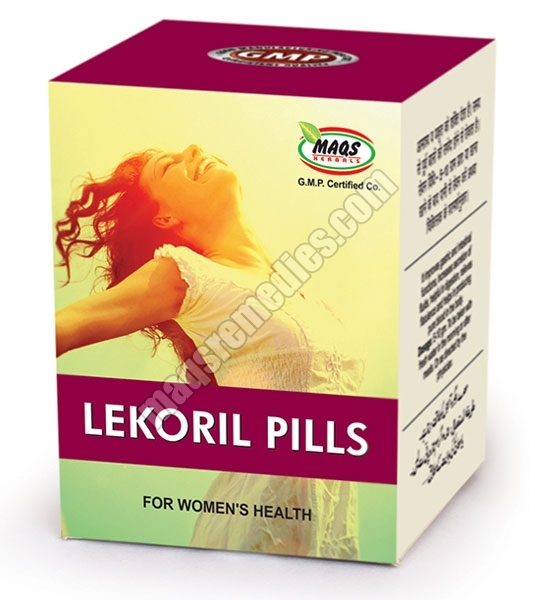 This Pills are Boon for Ladies . Females Suffering from Various Ailments Association Genital Organs. like Leucorrhoea, Backache, Disturb Menstruation, Loss of Interest in Day to Day Works. Loss of Enhance Charms in Life, Weakness, Restlessness, Decreasing Health Day By Day. White Discharge Due Swelling of Genital Organs. Pack Size : 50 Pills Container. Dosage : 2 Pills to Be Taken Trice a Day with Leukwarm Milk or Fresh Water or as Directed By the Physician.